Miss Thumbelina decided that she had enough clothes already. I tried really hard to convince her to wear shoes, but she refused. Said it makes her feet very hot and that she feels more comfortable with her wee toes out and about. 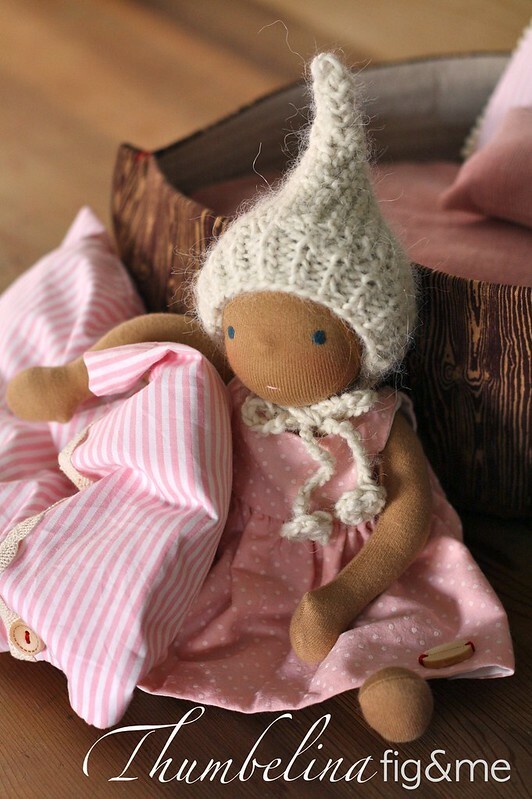 Thank you so much for helping me support the work of Care, and for bidding on this sweet little doll. I will be back next week with Miss Bobby Jo, who has a wonderful smile to share with you all.